The boy man wonder strikes AGAIN! Justin was recently awarded the prestigious Forbes Magazine 30 Under 30. 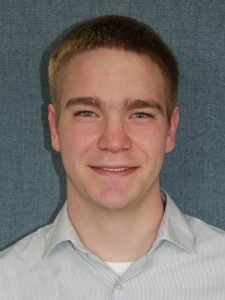 This is the second 30 Under 30 Award for Mr. Wenning who won the SME (Society of Mechanical Engineers) 30 Under 30 Award back in November. All of the Forbes honorees are under 30 years of age from 20 different categories. There were over 15,000 submissions making it an acceptance rate of just 4%. Click FORBES to see his profile. We also have a small video that highlights Justin and his thoughts on manufacturing. Click JUSTIN to view the interview. To read the entire NEWS RELEASE, click the link. For more information about Fabrisonic visit the website at www.fabrisonic.com, email info@fabrisonic.com or call 614.688.5197. Mark Norfolk, president of Fabrisonic, was recently featured on a podcast for FurtureTech. The interview talks about our 3D printing process and how it compares to other techniques. The science of how Ultrasonic Additive Manufacturing (UAM) is also discussed in terms that are very easy to understand. Mark also talks about applications of the process and alloys of metals that have been used from europium to nickel to aluminum. Our process is great for combining dissimilar metals, embedding sensors and creating complex internal geometry. To listen to the whole podcast, click WEBPOD. You can also download the podcast on ITUNES. For more information about Fabrisonic visit the website at www.fabrisonic.com, email info@fabrisonic.com or call 614.688.5197.